Home > Ask Our Experts > Can a UK Based Company Obtain an AUG Licence? I have been asked to supply engineers to a German company and wish to make sure I comply with legal requirements. Is it possible for a UK based company to obtain a German Arbietnehmeruberlassungsgetz- (AUG licence) employment license, if so how do I go about this? 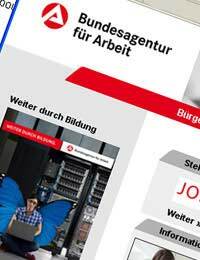 The Arbeitnehmerüberlassungsgesetz (AÜG) is the law which regulates the business of one company transferring its employees to work temporarily with another company in Germany. As you indicate in your question, this practice requires a licence. If issued, the licence is valid for one year and can then be renewed. If it is renewed for three years in succession and there are no problems related to your compliance with the statutory requirements, it can then be renewed in perpetuity. The form requires you to fill in various details about yourself and your business, such as whether you have a criminal record. You will have to provide proof of the state of your company’s finances. The application form asks foreign firms to name their company’s representative in Germany. It’s not clear whether having a local representative is an absolute requirement or not. If you need a licence to operate in the UK, you will have to arrange a sworn translation of it for the German authorities; if you don’t need a licence, you will need to get a confirmation from the relevant British department that no licence is required and then arrange a sworn translation of that confirmation. Note that you will have to pay a basic fee for the AÜG permit. You then have to pay additional fees for each worker you want to transfer. And you will need to submit reports about any workers you have transferred. You will have to arrange to pay the social insurance contributions of the workers you send to the other firm. Note also that AÜG permits are not granted automatically. Some are refused. In general, you need to give the impression of being a serious company, rather than a fly-by-night operation.